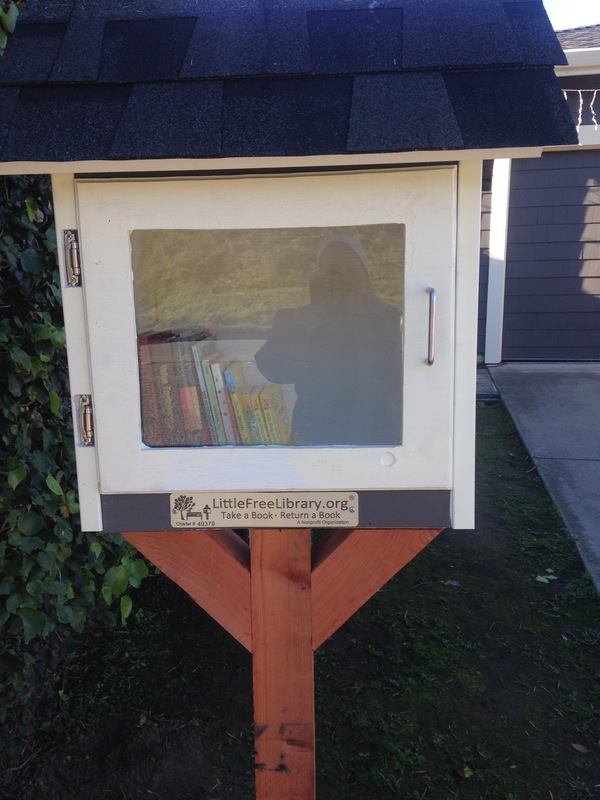 Oh my gosh, I was so surprised on my walk home from the coffee shop to find A Little Library. I’m obsessed with them now. I’ll be building one in my favorite coffee shop really soon. 2016 has had so many ups, downs, changes and just bad news. I’m ready to start 2017 fresh and find a way to enjoy life. A few weeks back I had a seizure out of the blue. If any of you have ever had something like this happen to you it’s a big wake up call. The human brain is so complex they may never have an answer to why I passed out. Since I may never get an answer I figure I’ll just keep on living, trying to find happiness where I can. Being miserable just isn’t a choice. Today I am asking my wonderful hairdresser and friend to get creative and wild with my hair for New Years. Pinks, purples and a new cut. It’s just hair, have fun with it. My goal this year is to live and be happy. Surround myself with good people and do the things I’ve always wanted to do. Canada is on that list. As is a tiny companion puppy to take on my road trips. She must fit in my front bike basket. Not everything is perfect in life, but it’s my life to do what I want to do. Not driving until cleared by the neurologist throws me a curve ball but I’m a pretty great softball player. I’ll knock the curve ball outta the park and take a slow victory lap around the bases. Maybe even wear my tiara and give a little princess wave as I pass by. I’m looking forward to 2017 being full of road trips and plans. Hope you can join me on my adventures.